Restaurants are great business ideas, they can be incredibly lucrative and are ideal if you're passionate about food. However they do come with a few potential problems, some of which are specifically an issue just for restaurants or venues serving food. Here are some of the biggest restaurant problems and how to solve them. It’s every restaurant owner’s biggest fear that a customer doubles over and has a severe allergic reaction to their food. Naturally, you don’t want to put anyone’s health and safety in jeopardy at all. People should come to your restaurant for the good food and a good time, you don’t want anyone getting ill for their sake or yours. But, you also know that a customer having a bad allergic reaction is also bad for business. So, this makes it all the more important that you handle this big issue. What can you do to solve the issue of allergic reactions? Really, it’s all down to information. You need to provide your customers with enough allergy information for everything you serve. Not only that but make it clear for them to see. You can include allergy info after each description of every item on your menu. You can also get allergy information sheets printed out, laminated, and put on every table along with the menus. It even makes sense to stick a copy of this information sheet on the front window of your restaurant or right on the wall as customer’s step inside. This way, people are more informed as to what is in their dinner, and they can adjust things accordingly. If they notice there are ingredients that they’re allergic to, they can always pick something else. Arguably the toughest task when running a restaurant is figuring out the rota. You’ll have multiple members of staff, but that can’t all work long shifts every day. Thus, you need a rota to schedule people in for certain shifts and inform your staff who's working when. Mess up your rota, and all hell will break loose. 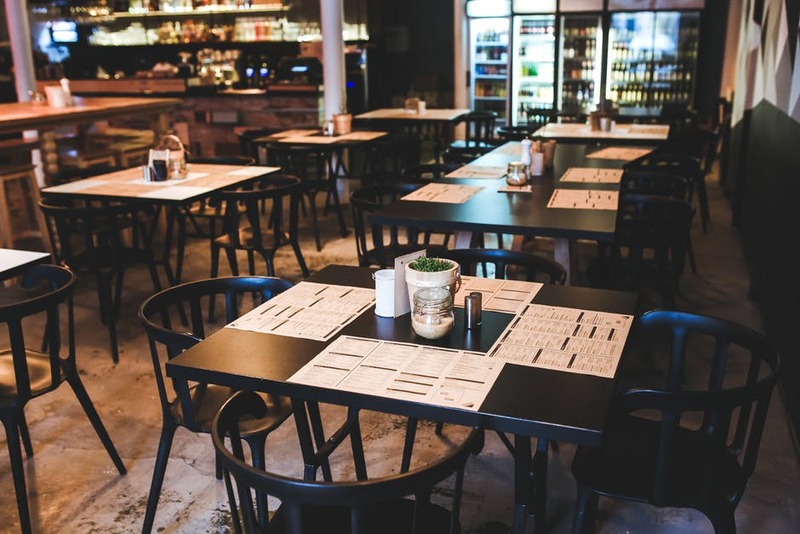 You’ll have people turning up when they’re not needed, meaning your restaurant is overcrowded with staff. Or, even worse, you’ll be severely understaffed as people didn’t show up at the right time because there were problems with your rota. To solve this problem, you need to spend some time figuring out how to create the perfect rota for your business. Take into account the hour's people are contracted to as well as their position in your restaurant. These are key things as you don’t want to put someone down for ten times the hours they’re contracted to work for. Likewise, you don’t want someone working less than they’re contracted to as they’ll get annoyed and can take legal action against you. Finally, you need to ensure everyone sees the rota and understands it. Luckily, there is shift planning software out there that allows you to do this. It doesn’t matter how you plan things, just ensure you cover everything and that everyone knows when they’re working and can actually work when they’re scheduled to as well. Restaurants pretty much live or die based on their reputation. If your restaurant is known throughout the area as a good restaurant, it will have a good reputation. As a consequence, more people are likely to come visit your establishment, which leads to more business for you. On the other hand, if you’re known as a bad restaurant, you start gaining a bad reputation. When people see your restaurant and ask their friends if they want to go there, their friends might say no, we’ve heard bad things about that place. Word will spread quickly and, before you know it, you’re boarding up your windows and accepting defeat. Your restaurant can literally die and go out of business all because of a poor reputation. Having said this, you need to know how to solve the problem of a bad restaurant reputation. What can you do to get people to start saying positive things about your restaurant, and bring more customers through the doors? Well, it all starts with the food. Regardless of how good your restaurant looks, or how good the atmosphere is, people come there to eat. So, the food must be to a high standard, and you should have a broad range of dishes for sale. It makes sense to specialize in one area of food - such as a Mexican or Italian restaurant - but that doesn’t mean you should only have a few things on the menu. Hire chefs that are experienced and great at cooking, give people lots of choices, and they’ll fall in love with the food. Only then can you focus on other things such as the comfort of chairs, the dining experience, and your customer service. Great customer service is needed for a good reputation.